Born on 6 December 1950 in Nagano, Japan. His name refers to Quincy Jones (the great American musician and producer), in fact in kanji Hisaishi is read Kuishi, very close to the Japanese pronunciation of Quincy, to which we add the name Joe, which is Jones. A graduate of the Kunitachi Music College, in his life he has mainly dealt with soundtracks and for the greatest directors of the rising sun, Hayao Miyazaki and Takeshi Kitano at the top (never missing in their films), but also Hideaki Anno, Nobuhiko Obayashi and many others. 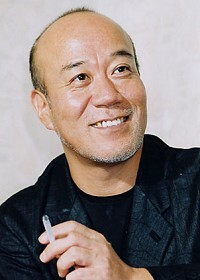 He won the Japanese equivalent of the Oscar for best music for 5 times, as well as an Annie Awards for The Enchanted City (2001), a LAFCA Award for Howl's Moving Castle (2004), 3 Mainichi Film Concours and a Yokoama Film Festival Prize.